The mission of the Cincinnati Black Theatre Company is to keep alive the spirit of Black Theatre by offering top-notch theatrical productions, performance and employment opportunities, children’s theatre, educational programs and community outreach in all aspects of theatre arts. CBTC is committed to increasing literacy, promoting diversity and multiculturalism, pursuing community outreach and collaborations, and providing access to the arts. CBTC was officially formed as a result of successfully producing the Midwest Regional Black Theatre Festival in 1998 and 2000, which it continues to produce biennially at venues throughout Greater Cincinnati and surrounding areas. Since CBTC gained its 501(c)(3) non-profit status on November 20, 2001, it has enlightened over one million people throughout the Tri-State region and beyond about the wealth and value found in African American theatre, culture and history. People of all cultural, ethnic, socio-economic backgrounds and ages are invited to participate and attend. CBTC programs and activities cover Greater Cincinnati and the Tri-State region and serves children and adults from diverse populations, the majority being a broad cross-section of African Americans, with an educational focus on disadvantaged youth, ages 4 – 21, from typically under-served communities. 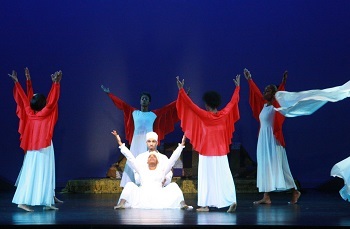 Midwest Regional Black Theatre Festival (biennial): The Festival offers an exhibit of new and established African American plays and musicals, workshops, poetry, music, dance and other activities presented by local, regional and national theatre arts professionals, non-professionals, educators and children. Theatrical Performance Series: plays and musical productions separate from Festival. CBTC has presented over 50 productions with over 300 performances to more than 60,000 audience members in a variety of venues in the Tri-State area. Imagine That! Arts & Education Program provides literacy-based arts education Saturday classes, an After School Program delivered to 28 schools throughout Cincinnati, a Summer Performing Arts Camp, workshops, special events and projects, and a Children’s Theatre Company that offers performance and production opportunities year round for children from all backgrounds, the majority being a broad cross-section of African Americans, with an educational focus on disadvantaged youth, ages 4 – 21, from underserved, low-income communities. Community Outreach and Collaborations: We believe collaborating with other local, regional and national organizations and helps engender a feeling of community, generates public value and brings a wide and diverse audience to our shows and activities. 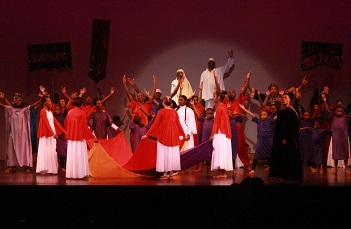 CBTC has received acknowledgments of success that prove its influence and effectiveness in the community through recognition and achievements, such as receiving its first nomination in the annual Cincinnati Entertainment Awards for its production of Ain’t Misbehavin for Best Ensemble Acting Performance and Best Community Theater Production. CBTC also received an award along with Cincinnati Playhouse in the Park from The Cincinnati Enquirer Acclaim Awards for Daniel Beaty’s Emergence-See! CBTC was recognized at Learning through Art’s Crown Jewels of Jazz Gala as a 2006 Heart for the Arts Recipient. CBTC was also recognized as the 2007 Success Guide Community Arts Recognition honoree and the 2009 Joyce Shariff Foundation Recognition for contributions of arts to underserved children in the Greater Cincinnati area.